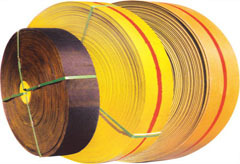 Our flat belt is made of high strength, low elongation, lower flexibility material, with importedCR. It has the excellent capability of high tension strength, heat and oil resistance, anti-wearing. Usually used in the transmission of large machine.